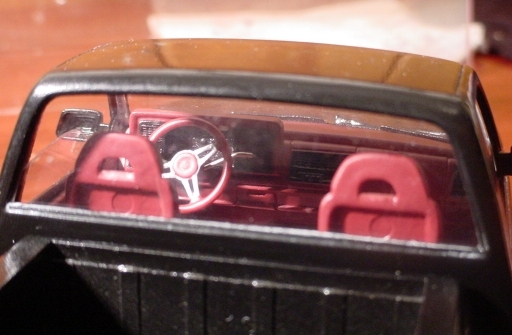 Not much more info right now, but I have included some close-up pics that show the interior a bit better. I've been asked a few times about the windows. 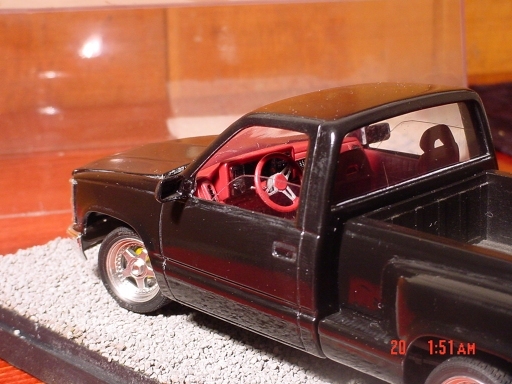 Basically all I did was replace the rear window, and create the side windows with clear plastic sheet. I used 2" masking tape applied over the window openings to create a template, just traced inside the frame and then stuck the tape on the clear sheet. I cut the windows just a bit larger than the template, but followed the curve closely. 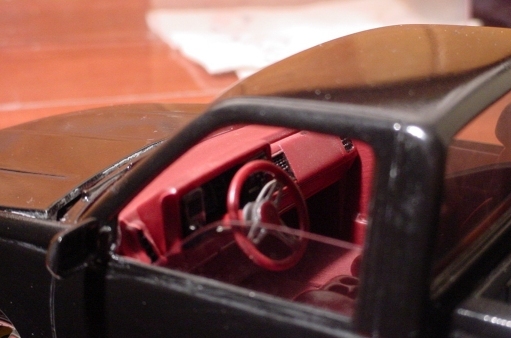 The "bottom" of each side window was left a lot longer than needed, so that it could be glued to the inside of the door. The rear window was just cut bigger all the way around. Use your back button to return to the previous page, or click to go back to the index.